South Korea's senior politician demanded that the recently died Taekwondo guru be officially honored with an award from the government or the nation's Taekwondo organizations. In an interview with a local TV Lee Heung-Joo (李興柱) of South Korea's third major party "Liberty Forward Party (自由先進黨: LFP)" strongly urged that the late Taekwondo leader, Lee Geum-Hong, be recognized and be rewarded by the nation for his contribution to the development of South Korea's national martial art. Lee Geum-Hong, who served as secretary general of the World Taekwondo Federation (WTF), passed away on Nov. 11, 2010 at the age of 76. He was revered as Taekwondo guru by many of the Taekwondo leaders. The senior politician Lee Heung-Joo (李興柱) was recently interviewed by a local internet news outlet "NBC-1TV" at his office on Yoido Island in Seoul. Lee is now in charge of LFP's Seoul chapter. 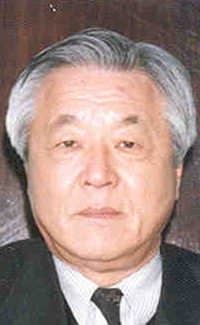 As a member of LFP’s Supreme Council he is also a close aide to South Korea's political big shot Lee Hoi-Chang. "The late Lee Geum-Hong died so lonely without any citations or orders in spite of huge contributions to the Taekwondo circles," the 72-year-old politician lamented. Lee said that Taekwondo leaders in the nation should do something so that the bereaved family members could be comforted and encouraged by the posthumous awards. 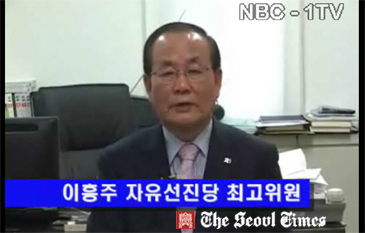 Lee's criticism was directed at the nation's Taekwondo leadership including WTF. Lee Heung-Joo (李興柱) once was associated with Taekwondo himself. He served as vice chairman of the Korean Taekwondo Association and befriended the late Taekwondo guru. By the time he was working as a senior advisor for the national colossal Samsung Electronics. Earlier Lee finished the 25 years of his public service in the prime minister's office and administration coordination office. Lee and the late Taekwondo guru went throught the same Gyeongdong High School in Seoul. Lee said that he knew him very well and thus respected him for his leadership particularly in the nation's Taekwondo circle. "At the time of April 19 Students' Uprising in 1960 he was he was a charismatic student leader, serving as president of the student counsil of Yonsei University," Lee said. "He used to emphasize that there is nothing better than Taekwondo to boost the national image of our country," Lee told about the late Taekwondo leader. Around the end of the interview, Lee broached up the topic of "awarding the late Taekowndo guru" again. "He devoted his entire life to the development of Taekwondo," Lee said. "The goverment or nation's Taekwondo leadership should do something to remember and honor late Taekwondo guru," Lee added.